Just a few short decades ago, the standard pathway to building a successful winery was to build a reputation for quality products and then leverage that reputation into growing wholesale sales through increasing production. Tasting rooms and wine clubs were seen as secondary, if they did well then that was just a bonus. 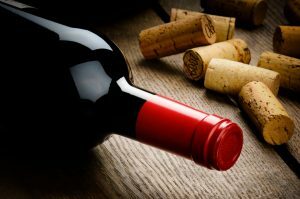 In today’s market, that situation has completely reversed and the majority of new wine companies are now focused on building direct-to-consumer (DtC) programs instead of trying to grow the business independently to the point where they can draw the interest of larger wholesale distributors that already represents hundreds of brands. This emphasis on DtC programs has led to wineries placing a much greater emphasis on their tasting rooms, events, websites and tele-sales efforts. All based on increasing the consumer experience and growing brand awareness directly at the consumer level. Most see DtC programs as the wave of the future. It is currently the fastest growing segment of the overall market with growth of over 18% in the last 12 months alone.